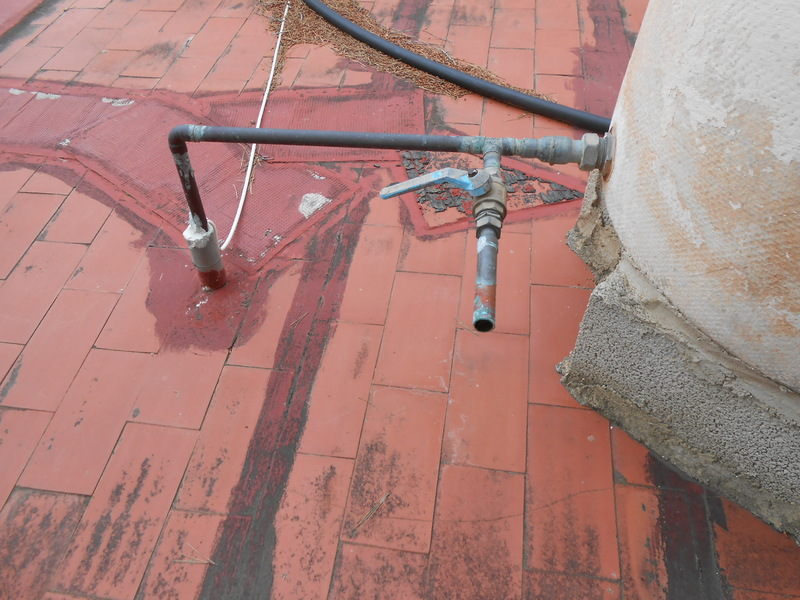 The plumber, Pedro begins work on the new house El Parral today. 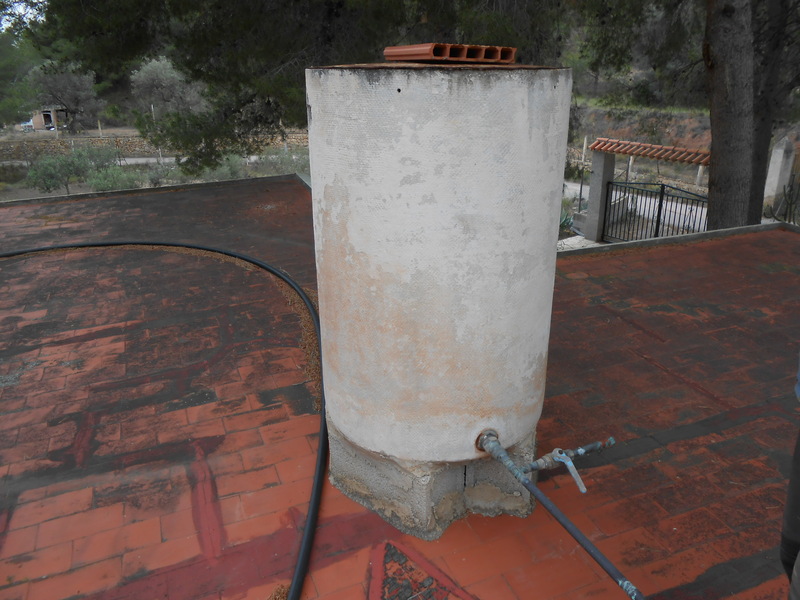 This will involve removing the big water tanks on the roof, where the copper piping had been stolen while the house was empty, and installing a hot water heater and new pipes to bathroom and kitchen, plumbing in the washing machine etc. I am awaiting his estimate. Meanwhile, the solar electricity guy, Oliver has been in touch and he will be helping me to plan a basic system later this week. 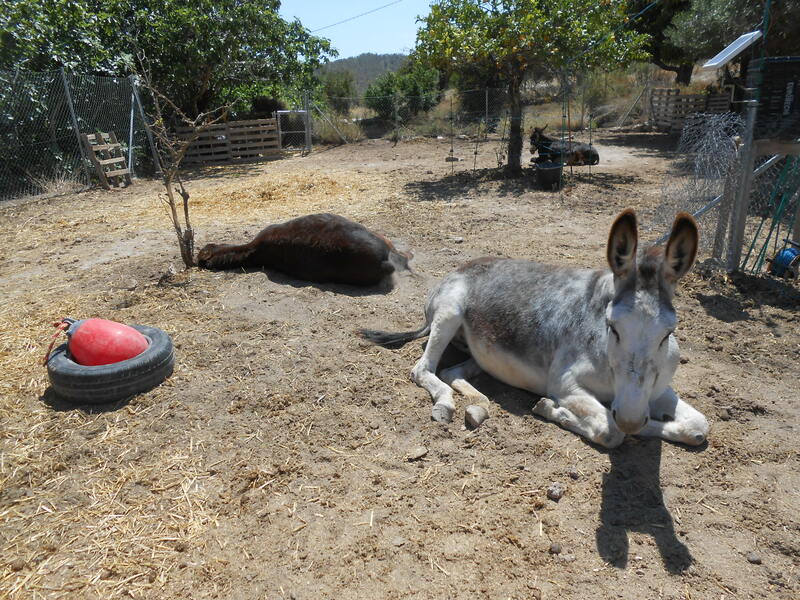 Carl is still digging fence post holes and planning the stable foundations, and we are looking at the possibility of bringing the donkeys to their new field next weekend. Meanwhile, the lazy beasts are sunning themselves and watching me doing all the heavy labour of breaking concrete fence post foundations on the old field. I have re-positioned their fencing temporarily and taken down two gates and a section of fencing at the front of the field, as that is needed up on the new field. The stable is also gradually coming down: I removed all the side walls and internal partitions yesterday. Rubí is looking a bit woeful as she regards the partition at the far end as her private house. 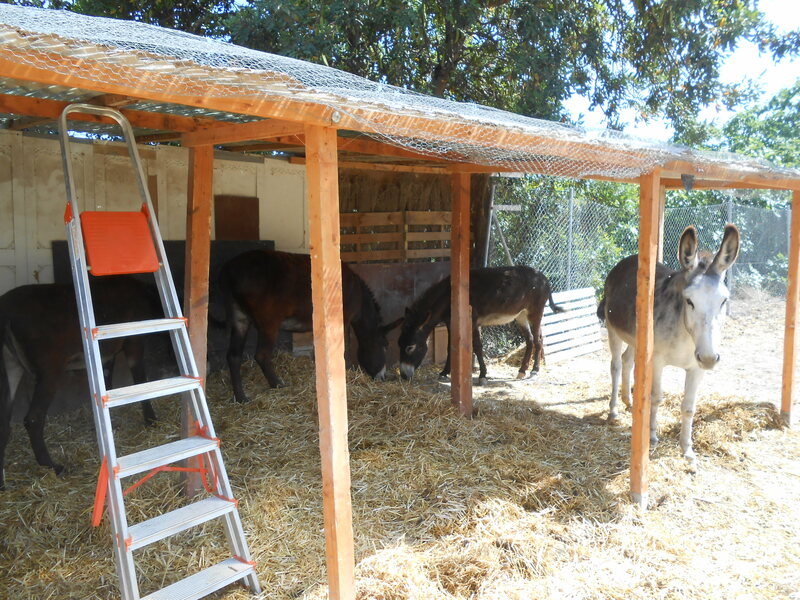 The stable will be assembled more or less in the same configuration at El Parral, but on a concrete base this time, which will make cleaning much easier. Finally, the school holidays are almost upon us! I will be able to work full-time on setting up the new donkey field from Wednesday morning. It will all be much easier when I am living in one house again. These past few weeks have been divided between two houses and two donkey fields, with seven kilometres between them. 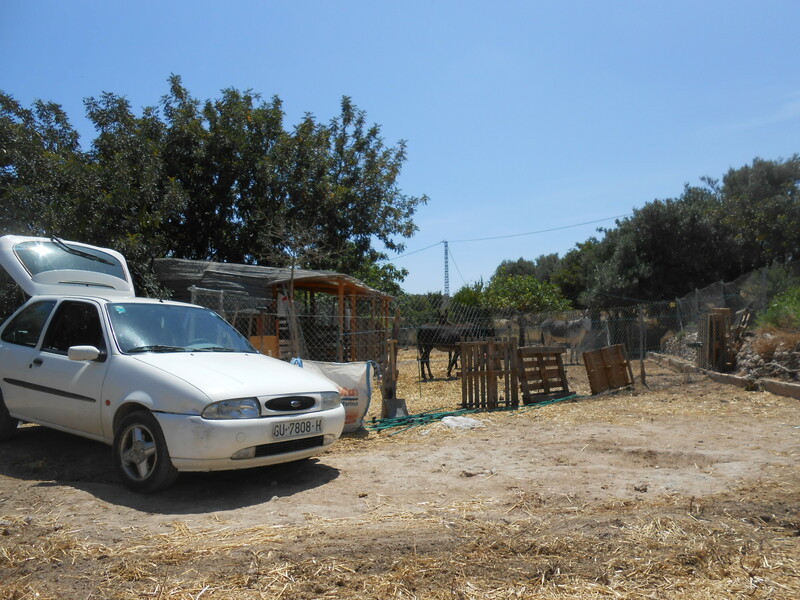 The constant to-and-fro with my packed little Ford Fiesta has gradually emptied the old house and filled the new one, but the main work is taking out the old fence posts and breaking up the concrete foundations. How many donkey fields can you cram into a two-door Ford Fiesta? Thinking of your computer problems and being in a valley – would it be an idea to put up some sort of aerial or could you use Wi-Fi via the telephone system? 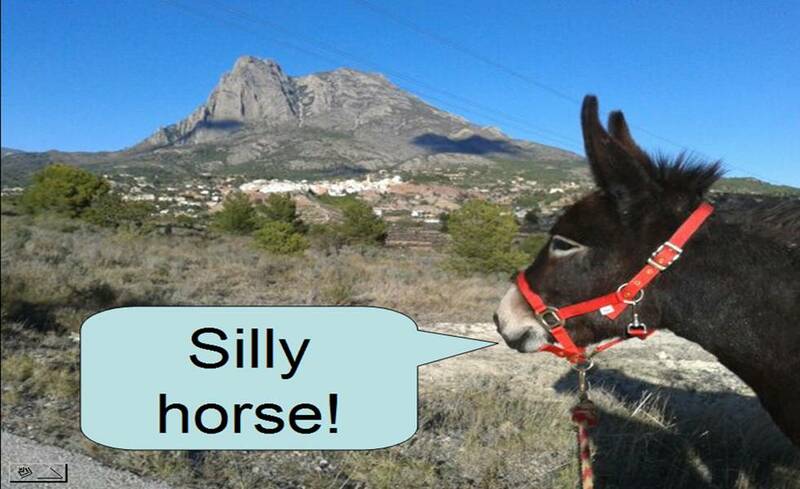 At least Rubi can be reassured of having her own private quarters back again on the new donkey field. You’ve made a lot of progress – you must be ready to collapse in the middle of the field with the Donks! What a lot of work! You must be exhausted. Can’t wait to see you all moved in. Great that you were able to get such a good deal on your posts from the scrap man. I keep thinking of you as we’ve also been building a new fence around part of our donkey field. I decided to add a kissing gate and can’t believe how much easier it is now that I can just walk in and out without having to unlatch or untie the gate, especially while carrying grooming supplies or other unwieldy things. I put a few pictures on my blog if you’re interested.